On behalf of the Organizing Committee, it is my great pleasure to invite you to exhibit at the INTERNATIONAL ACADEMY OF CARDIOLOGY 19th WORLD CONGRESS ON HEART DISEASE, ANNUAL SCIENTIFIC SESSIONS 2014, to be held at the Hyatt Regency Boston in Boston, MA, USA, July 25-28, 2014. Plans for this meeting are progressing well. Many distinguished cardiologists and scientists have agreed to join the faculty participating in this Congress. Papers will be presented in the form of plenary sessions, symposia and posters, and will include superb scientific material originating from numerous laboratories around the globe, assuring that the meeting will be a major scientific event. The exhibition will offer companies an excellent opportunity to meet with specialists in the rapidly evolving field of cardiovascular disease, and to present to the participants their products and services related to this important field. 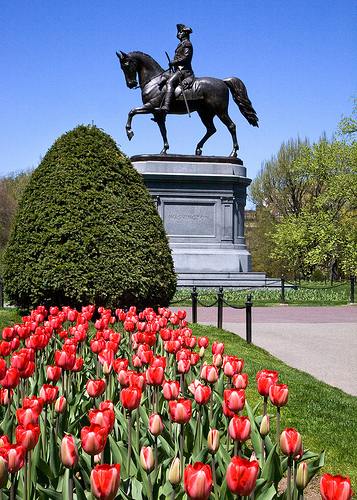 We look forward to your active participation in the exhibition of the 19th WORLD CONGRESS ON HEART DISEASE, International Academy of Cardiology Annual Scientific Sessions 2014 and to welcoming you to the beautiful city of Boston in July 2014. The Congress and Exhibition of the 19th WORLD CONGRESS ON HEART DISEASE, International Academy of Cardiology Annual Scientific Sessions 2014 will be held at the Hyatt Regency Boston. The Exhibition will be situated at a strategic location close to the meeting rooms. All refreshment breaks will take place in or near the Exhibition Hall. Booking rate = US$16 per square feet. Minimum space rental is 100 square feet. Rental fee is for space only. Booth construction and other materials/equipment are available at an additional charge. Please note that the exhibition hall is fitted with wall to wall carpeting. Each exhibiting company will be entitled to two exhibitors' badges for the exhibition only, for each 100 square feet rented. A completed application form accompanied by advance payment should be mailed to the Exhibition Manager to ensure reservation of desired location. Upon receipt of the application form with payment, space will be confirmed and an invoice for the balance due will be mailed. Once the floor plan has been completed and posted on this site, we will request that you provide three alternative choices. Space assignments will be allocated in the order of which application forms with payment are received. Advance payment will be refunded if space is fully booked or space offered is not acceptable to the exhibitors. Applications for exhibit space must be accompanied by 50% of the rental fee. Cancellation received 4 months prior to the Congress - full refund less $100 administration fees. Cancellation received 2 months prior to the Congress- refund of 50% of the full payment. Cancellation received less than 2 months prior to the Congress - No refund will be provided. The Exhibition constructor will provide all optional services at an additional cost. An Exhibitor's kit will be sent upon receipt of payment. The kit will contain all details regarding additional services offered including customs regulations and information. Equipment and all related display materials installed by exhibitors are not insured by the organizers, and under no circumstances will the organizers be liable for any loss, damage or destruction caused to equipment, goods or property and person and for the property and persons of his employees and agents through full and comprehensive insurance. The organizers cannot be held responsible for any and all damage claims arising from theft and those perils usually covered by a fire and extended-coverage policy. a) The Exhibition Manager, acting under direction of the Exhibition Organizer, has the final decision as to the acceptability of displays. b) Exhibitors are not permitted to share with any others any space allotted to them without prior written consent by the Exhibition Manager. c) The International Academy of Cardiology has the exclusive authority to allocate its available stand space to exhibitors. The wishes of the exhibitors will be taken into account as far as possible. d) The organizers reserve the right to alter the general layout or limit the space allotted to each exhibitor, postpone the exhibition or transfer it to another site in the event of unforeseen circumstances. e) Participation by exhibitors is dependent upon compliance with all rules, regulations and conditions stated herein. The International Academy of Cardiology reserves the right to refuse registration. a) All exhibits are to be displayed so as to avoid blocking aisles, obstructing adjoining booths, or damaging the premises. Height is restricted to 12 feet. Exhibitors will be responsible for the cost and execution of the design, installation and delivery of their display to (and its removal from) the exhibition site. b) Use of amplification equipment to attract the attention of the public is prohibited. Those seeking permission to do so must contact the International Academy of Cardiology in writing to receive exemption from this. c) The provision of refreshments to the public by exhibitors is only permitted if the catering regulations of the exhibition building concerned are observed. d) The exhibitor is obliged to leave the space made available to him in its original condition when the contract period is terminated. If the International Academy of Cardiology considers it necessary to take steps to restore it to its original state, the costs incurred will be borne by the exhibitor. e) No flammable materials are to be used. Equipment displayed or demonstrated must be installed according to safety regulations. The Exhibitors are obliged to comply with the instructions given by, or on behalf of, the organizers, the International Academy of Cardiology the fire service or other officials responsible for the maintenance of order and safety with regard to the construction, layout and safety of each stand, the advertisements displayed on each stand, the products or objects to be exhibited on it and the decorations to the stand. The presentation of advertising material may only take place within the stand space. a) Exhibitors undertake to strictly observe the timetable designated for completion of their display before the opening of the exhibition and its dismantling at the close of the exhibition. b) Exhibitors are obliged to ensure that their stands are permanently manned during the exhibition opening hours. In principle, the stand should always be open to the public. c) The exhibitor may only exhibit, demonstrate or show samples of the products and services specified on the registration form. These activities must remain within the objectives of the exhibition at all times. The exhibitor is not permitted to deal in used goods, or act as a repairer. Should any contingency prevent the holding of the exhibition, the organizers will not be held liable for expenses incurred other than the cost of rental of exhibit space. The International Academy of Cardiology, at all times reserves the right, if serious circumstances dependent or independent of the International Academy of Cardiology make it necessary, to change the dates of the exhibition and/or of the stand, as well as the right to alter the design and/or the size of the stand. In such cases, the exhibitors may not make any claim for compensation in access to its rental fees. a) Payment is to be made in accordance with the conditions of payment on the exhibit application form. b) Should the exhibitor fail to make a payment on time, the exhibitor therefore forfeits all right to any exhibit at the exhibition. Refund of monies already paid by the exhibitor will only occur in accordance with the provisions of the cancellation policy. Unless otherwise stated in said article, the agreed price remains payable in full by the exhibitor. Contractual interest at an annual rate of 15% of the agreed price is payable by the exhibitor from the due date specified on the application form. The exhibitors agree to defend, indemnify and hold harmless The Hyatt Regency Vancouver, the International Academy of Cardiology and their officers against any and all claims, loss, demands, liabilities, costs and expenses or damage including reasonable attorney fees, for any injury to, including deaths of persons, any property loss or damages caused by, growing out of, or happening in conjunction with the planning, set-up, execution and closing of the exhibition, arising out of the negligence or willful misconduct of the exhibitor, its agents or employees and/or contractors/vendors contracted for by the exhibitor. a) The exhibitor is in default for non-compliance with any of the obligations resting with the exhibitor under the terms of these General Regulations or any further written agreements. The International Academy of Cardiology may dissolve the agreement without the intervention of the court with immediate effect. The exhibitor is bound to compensate the International Academy of Cardiology for damages incurred or to be incurred as a result of his failure to comply. At the same time, any right to reserved stand space is terminated. b) The legal relationship between the exhibitor and the International Academy of Cardiology is governed by the State of California, USA. All disputes will in the first instance be adjudicated by the competent court in California, USA, to the exclusion of any other competent legal bodies. c) In all cases not covered by these General Regulations, the International Academy of Cardiology decision will be final, wherever possible after prior consultation with the exhibitor.